Mass Effect: Andromeda was the next installment to the remarkable trilogy of Mass Effect games. Developed by BioWare and published by EA, this game received a lot of reviews, some a lot better than others. 2 years after its initial release, we’ll be revisiting and reviving this long-forgotten gem. In my opinion, Mass Effect: Andromeda’s campaign is one of its weakest points. With awful facial animations on release, the issues didn’t stop there. 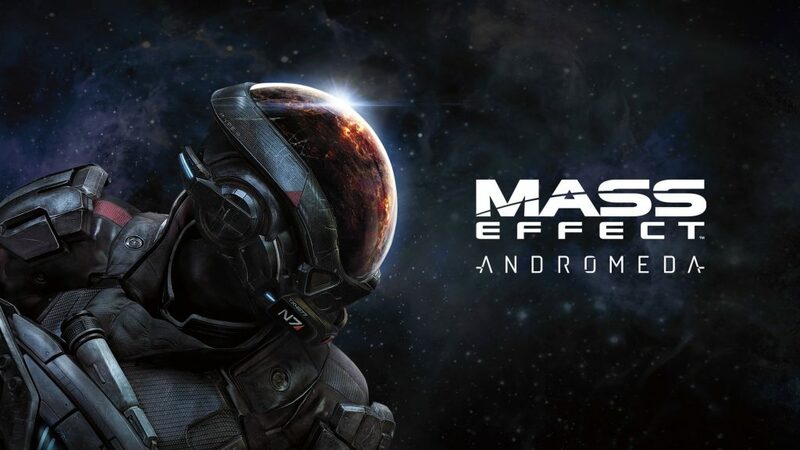 EA advertised the game as having a whole new galaxy, the Andromeda galaxy, to explore, claiming that with it would come many diverse characters from multiple different races. However, there was only one new race added, the rest of the enemies and NPCs were generic AI with little to no backstory making you question as to why they were your enemies in the first place. The base building and planet exploring mechanic, however, was intuitive and relatively fun, and the combat and the puzzle solving was the single player’s strongest points. The characters were not very fleshed out, and I never found myself that invested in them or what happened to them. The story itself was not so bad and I for one had a moderately good time playing the campaign. The ship mechanics and the pet system was rather boring and more of a useless gimmick than an interesting feature and the character romances were ‘interesting’ to say the least. Looking back on the game at this point in time, this is all I can recall of the single-player mode, and that itself speaks volumes. It was an experience that I definitely enjoyed and would hope to see more titles of this caliber release in the future. Multiplayer was an absolute blast. I hopped back into some more strike team missions and yes, they are still as fun as I remembered. Despite there being only 1 type of mission (a waves based co-op survival) the overall experience is very captivating and just doesn’t get old. There are a few options available to slightly change up the experience. Things like maps, difficulty, enemy type are a few basic options that you can mess around with. However, the real reason that I enjoyed multiplayer so much was because of the huge assortment of vastly unique characters to choose from. Each and every character (except the male and female variants of it) offers such a unique playstyle. Some characters have the ability to lay down sentry turrets, others can fire black holes, some can even summon sentinels to fight by their side. All of this combined keeps the gameplay refreshed and stops it for aging. Honestly in my opinion, I feel that the game wasn’t hyped enough. There were only a few measly attempts to advertise the game. Sure there were a fair amount of trailers and cinematics but in terms of traditional advertising, I feel that BioWare could have done a better job. The only way I found out about Mass Effect was because I saw it on the front page of Origin. The next, and most prominent issue was Mass Effects’ facial expressions. I mean Jesus Christ those were a disaster. So many NPCs had poorly designed, cartoonic faces and often times, textures would decide to load in half way through a conversation which to say the least, is very distracting. To be fair, however, some crucial members of the animation department left the company during the games’ development so it isn’t entirely BioWare’s fault. Plus, they did release a patch for the game that fixed those ugly faces. All in all, the extent of these issues has assuredly lessened since the time of Mass Effects’ release but the fact that such problems existed within a game of this sort means that BioWare has a lot of work to do to proof its next game of these bugs. The Mass Effect series was an absolute Masterclass of a trilogy, up until Mass Effect: Andromeda. That, to put it simply, felt like a forced sequel to the Mass Effect series that should have ended back in Mass Effect 3. However, nearly every aspect other than the campaign was done very well. My hopes for a future Mass Effect (If there will be one) would be that the devs should focus a lot more on the story because nowadays story is like a secondary thing, most companies focus on all the cool features and gimmicks that can be witnessed in their game. They spend majority of their time on graphics and surface-level gameplay when I know for a fact that a lot of us, myself included, would rather play a game with a fantastic story and mediocre graphics rather than the other way around.